Welcome to our first-ever Pondering Policy! My name is Daniel Lee. I am a Level 3 Magic Judge from Los Angeles, California, and an avid Storm player. My goal with these articles is to take the various updates to the Comprehensive Rules (CR), Magic Tournament Rules (MTR), and Infraction Procedure Guide (IPG) and distill them into a format that is helpful to our Storm-playing community. Since there were some high-impact changes over the last year, we will start with a couple of catch-up articles. The Comprehensive Rules and the tournament policy documents are updated with every major set release, so we will cover the updates for Dominaria and Core Set 2019 in this article. The rules and policy documents referenced are housed here. It is fairly common knowledge that life total changes need to be tracked and announced, every single time they change. If not, then you should know that, at Competitive and Professional RELs, life total changes do need to be tracked and all changes need to be announced. Until this update, life totals were the only piece of in-game information that needed this treatment, so we didn't have a special name for it. With the addition of City’s Blessing in Rivals of Ixalan, it suddenly became clear that unending continuous effects could benefit from the same requirements. Thus, Status Information was born! This includes life totals, counters on players (such as Poison and Experience counters), and continuous effects like City’s Blessing and being the Monarch. What it means for us: The cards Palace Sentinels and Palace Jailer have enters-the-battlefield triggers that can be missed if your opponent does not acknowledge them in any way. They need to do so before they take any other action. If they immediately go their End Step to draw their card for being the Monarch, that may be good enough for them to have acknowledged the trigger. However, they have a responsibility to announce when they become the Monarch, since becoming the Monarch is Status Information and needs to be pointed out when that changes. Similarly, if one of your Goblin tokens deals combat damage to your opponent while they are the Monarch, you must immediately acknowledge the trigger that makes you the Monarch, or you could miss it. Also, you should ALWAYS be tracking and announcing life total changes. ALWAYS. There is a small but vocal community that loves putting their lands closer to their opponents than their creatures are. 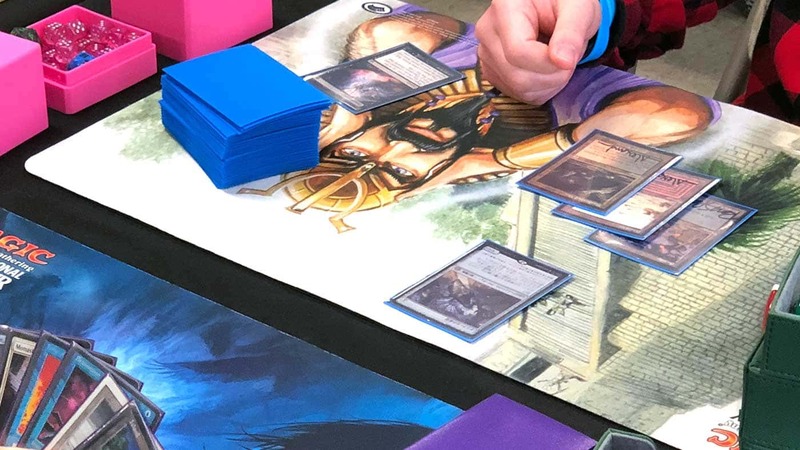 The rules mandated lands-in-back for matches on coverage a few years ago, but this update expanded that mandate to all Competitive and Professional REL events. If your opponent puts their lands in front and you don’t want them to do that, the rules are now on your side! What it means for us: This mandatory placement also restricts where you can group things like artifact mana and creature-lands. If your opponent puts their Dryad Arbor with their lands and not with their creatures, a judge will back you up if you tell your opponent to fix it. If that Dryad Arbor misplacement causes you to make a bad attack (and you recognize it right away), a judge should be willing to reverse that attack. Previously, proxies were only allowed when a card that was legal at the start of a tournament had become illegal through gameplay-inflicted damage. Then, and only then, could the Head Judge issue a proxy. Even then, that proxy would only be good for that one tournament. Then Kess, Dissident Mage came along and ruined everything, as dissidents are known to do. Kess, Dissident Mage is only available in foil. So, in certain situations, these could become marked when compared to the rest of your deck, and no non-foil option exists to replace them. Situations such as this (and, notably, Nexus of Fate) now permit the Head Judge of an event to issue proxies for these foil-only cards. What it means for us: If your opponent plays a proxy Kess, Dissident Mage or Nexus of Fate , you have the right to see the physical card. They need to keep the real copies nearby to verify that they have them (think of the proxies like checklist cards). Someone may try to play with a proxy instead of having the real card. It’s a long-shot cheat, but cheaters prey on the non-vigilant. 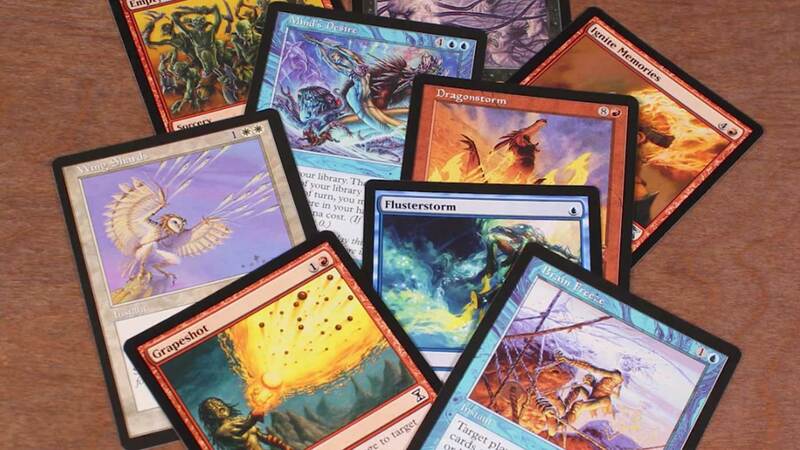 The rules governing how and when players can shortcut any sort of lengthy loop were moved from the very-strict Comprehensive Rules to the much-more-flexible Magic Tournament Rules. They were also expanded to include loops that span multiple turns. What it means for us: Not much. The really interesting update to the loop rules happened with Guilds of Ravnica, so we’ll dive into that more in the next article. It’s a common mistake for players to perform their Untap and Draw steps out of order. The Infraction Procedure Guide is very prescriptive in what it allows judges to do to fix games. Judges were allowing people to untap even when they’ve forgotten to do so, and that was technically outside of policy. That has been fixed. What it means for us: You are even more likely to be allowed to untap your permanents if you forget to do so at the start of your turn. Make sure you're calling a judge before that turn is over! No, there's no angle to shoot here. You can't partially untap, float mana, then ask a judge to untap everything. That looks very suspicious and judges are smarter than that. We, as players, want advantages because we know the rules better, not because we break rules. That does it for our first Pondering Policy! We will spend another article catching up to the present (with the Guilds of Ravnica and Ravnica Allegiance updates), then we’ll release them ASAP following a new set release, starting with War of the Spark. If you have any Storm-relevant rules or policy questions, feel free to send them my way through email, Twitter, or Facebook. I’ll keep a running list of the most common ones for a Rules FAQ article later down the road. Until next time, Storm fair and Storm fun! Daniel has been playing Magic since Invasion and fell in love with the Storm mechanic the moment it was printed. He plays (or has played) Desire Storm in Extended, Solidarity and TES in Legacy, Ascension and Gifts Storm in Modern, Paradoxical Storm in Vintage, and is currently building Sprout Storm in Pauper. 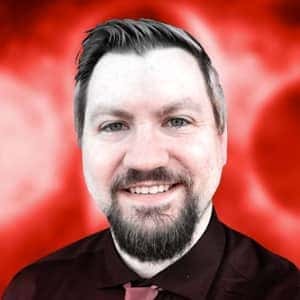 He certified as a Magic Judge in 2004, and is an active Level 3 in USA MagicFests, particularly on the West coast. He holds a BA in Mathematics and currently teaches Math at a high school.